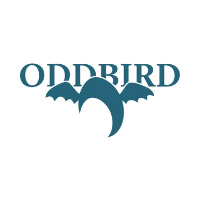 Hi, we're OddBird: a web consulting agency, founded in 2008 by three odd siblings. Whether you need a custom application or a refactor – design systems, component libraries, UX/UI design, or testing – we can help you take the next steps with a commitment to human-centered software and scalable, accessible, performant code. We're a small team with enterprise expertise, and applications used by Mozilla, Salesforce, National Institutes of Health, Chicago Public Schools, and the Ironman Championships. We also enjoy being part of the diverse and open web community as core contributors to both Django & Sass, creators of Susy & Herman, mentors, speakers, conference organizers, authors, and teachers. It's an honor to be part of Generate 2019, and we're excited to meet you there!